One of the things I enjoy about wine is its strong connection to place. There’s an old saying that when you taste cider, you taste apples and when you taste cherry wine, you taste cherries but when you taste wine made from grapes, you taste the soil and the sun and the rain. This concept is called terroir, and while it is often over emphasized there is a strong element of truth to it. Different varies of grape grow in differently in different places and the same variety or even an identical clone of the same plant will produce a wine that tastes very differently from vineyard to vineyard. That’s to say nothing of the different traditions and techniques of the world’s vineyards. For me, one of the most enjoyable aspects of being a wine lover is visiting these places where grapes are grown and wine is produced. Last year when I received an invitation to my cousin’s wedding in Fremont, California the little hamster wheel inside my brain started turning. 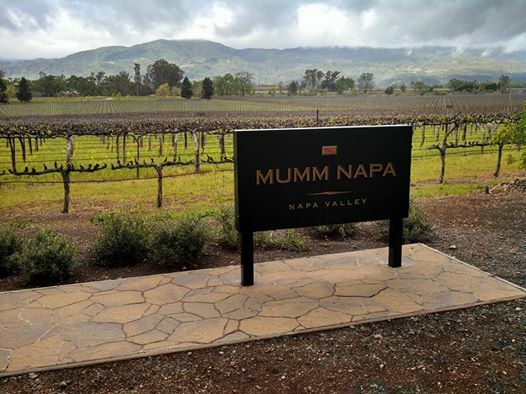 My wife and I went to Sonoma years ago when my sister and her husband lived in Northern California so it seemed natural that the next area to visit would be Napa. 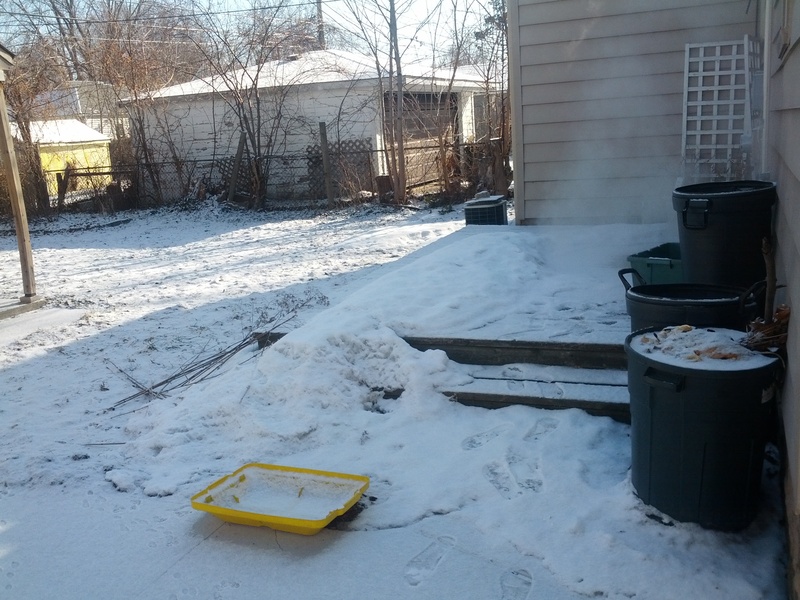 When we left Royal Oak in the morning, our backyard looked like this. 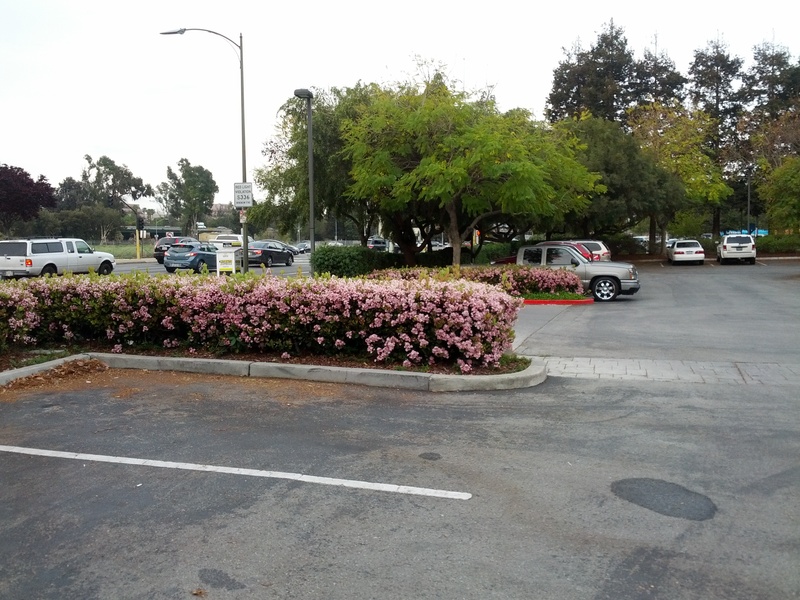 When we left our hotel in the morning of the next day, we saw this. We arrived in San Jose late at night so we just stayed at an airport hotel and drove to Calistoga to Rivers-Marie HQ in the morning. The most harrowing part of the drive was the final leg driving up and down mountains on two lane roads with no shoulders. Luckily my wife was behind the wheel so I could just close my eyes for the most alarming parts. The office for Rivers-Marie is in a beautiful, fairly large craftsman style house in Calistoga itself. After meeting with friend-of-the-blog Will (R-M’s employee, as he described himself), we hopped in the truck and went to the associated winery, Tamber Bey. 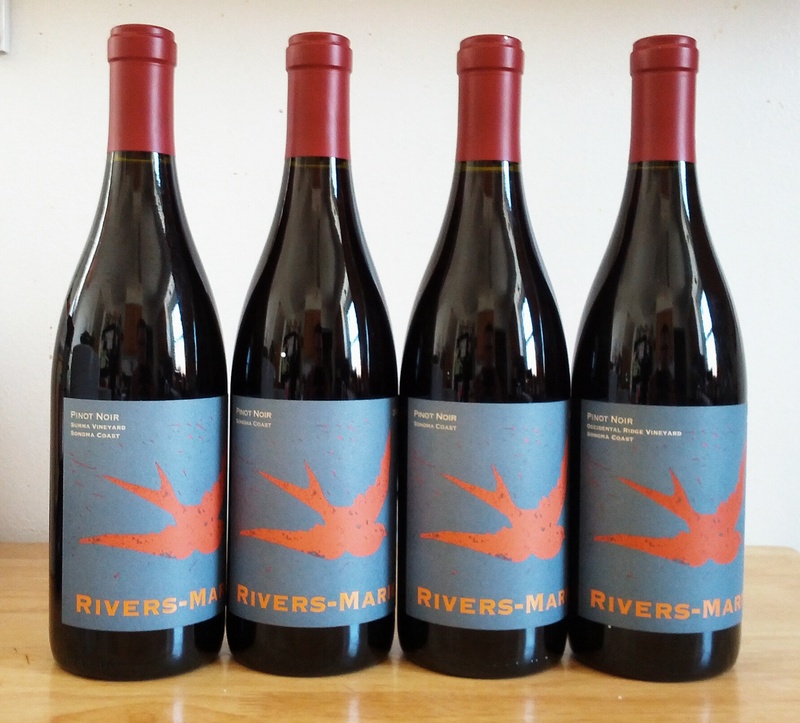 They make wine for a variety of labels and from a variety of vineyards, but Rivers-Marie is the house brand. Sonoma Coast Pinot Noir is their specialty but they also do a Cab and a Chard under that label. When we arrived they were racking the wine and Will showed us around the equipment. We then got a chance to visit the wines resting in the barrels and taste a few. With most of them, I took a sip and thought, “This isn’t so bad” and then got smacked in the mouth with a big burst of sulphur. Not good drinking but educational. We then went back to the office for a great tasting and great conversation with Will. I learned a lot about Napa and Sonoma and wine in general from the conversation. My thinking was even changed on a few things, like being overly tough on certain Michigan wineries whose wine I haven’t liked. We ended up ordering four bottles from them. Since they don’t have a Michigan distributor, we were able to have them shipped. Nothing could really compare to that experience, but we visited a few more wineries over the next two days. There was scenic and pricey Alpha Omega. And Mumm, specializing in sparklers. We had heard horror stories about how Napa was a wine-themed Disney World, but it didn’t strike me as Disneyesque at all. Yes, there are plenty of touristy wineries, especially the big or famous ones, but the ones we saw didn’t seem any more touristy than ones we’ve seen in Michigan, Indiana or New York. Our experience with Will and at Elyse was anything but touristy. So, like most places, it’s all about expectations. If you go to Mondavi expecting Robert to look up from picking grapes to wave to you from the vineyard as you roll up on the gravel driveway, you’ll be disappointed. Especially since Robert Mondavi has been dead for several years now. If you plan your visit carefully and know what you’re in for you’ll be able to have a good time. Napa isn’t just wine of course, but lots of good food too. 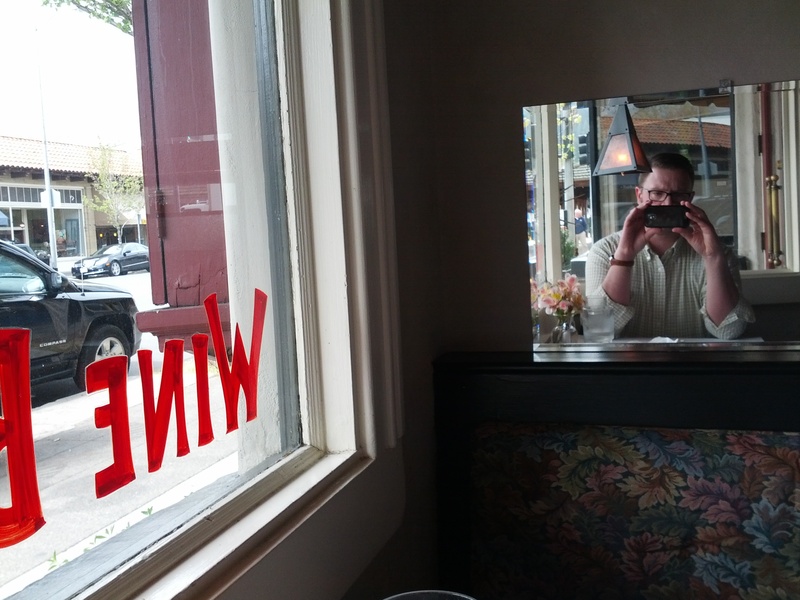 Oenotri in downtown Napa was a standout, but we hit a couple nice little bistros along the way. The wedding was a blast. The ceremony was a shortened version of the traditional Hindu ceremony, but instead of a horse, the groom rode in on a Ford Mustang. That summed up the festivities pretty well. The reception (on the next day) was even better. 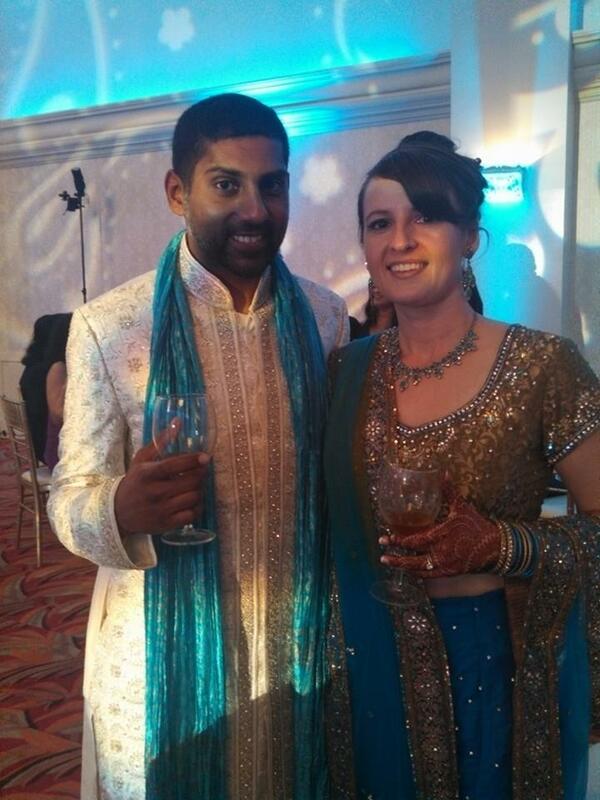 Best Indian food I have ever had and best beer list I have ever seen at a wedding reception. My cousin is a big craft beer fan, and she especially loves sour beers. 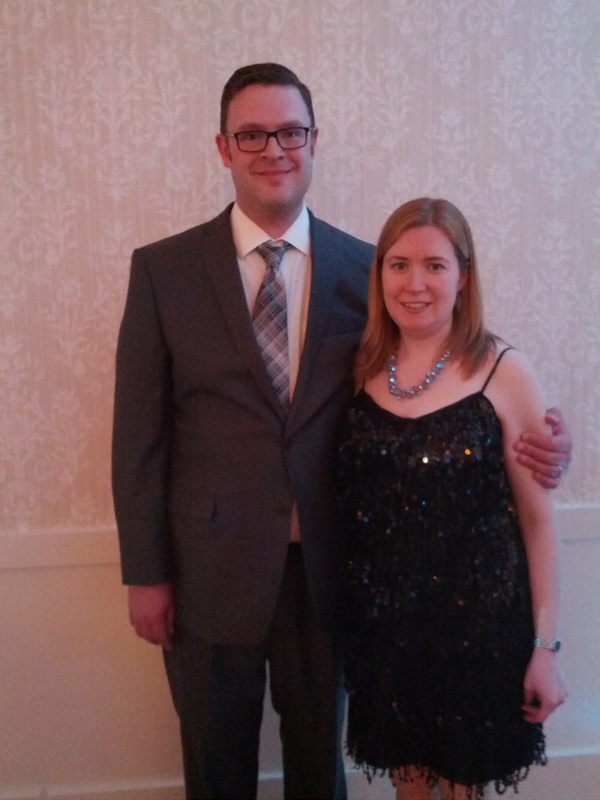 I think we clean up well, too. It was a wonderful time, and it’s all thanks to my brilliant cousin Rhiannon (aka Rachel) and her brilliant husband Ashish, who is already living up to his name. May you have many more blessings in the years to come! Nice post, hoping to do this sometime soon. 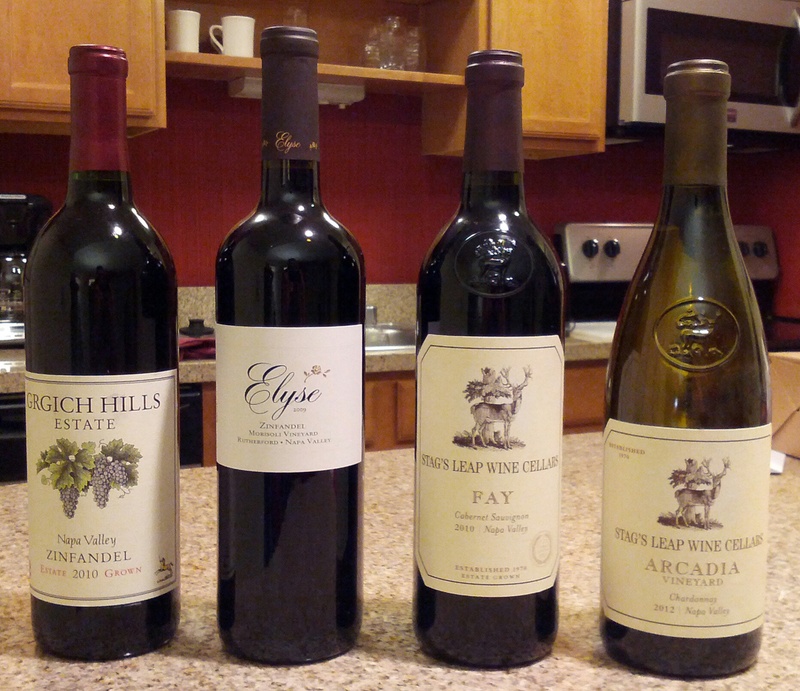 I love that Grgich Hills Zin, very tasty.